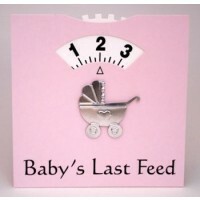 A Baby Feed Wheel is a great gift for baby showers and Mum to be will be thrilled with this thoughtful gift. 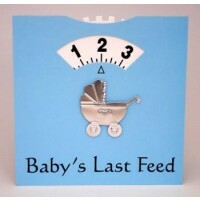 Send this as a baby shower greeting card then mum has a very practical feed wheel to use as a record of baby's last feed in order to keep her organised and in a pattern with feeding her baby. 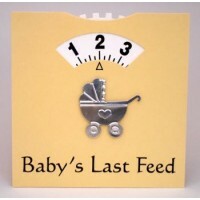 An invaluable item in those early weeks of feeding when all the hours in a day seem to just roll into one long one! 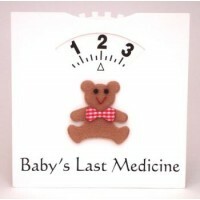 The medicine wheel is also a useful gift for those times when your baby may need to take medicine and you need to keep a track of the time between doses.